Case Study 4: How I Found a HOT Niche With Tons of Traffic. In the world of internet marketing, niches are all around us. If you know how/where to look, you’ll be able to find them in the plentiful. Although there’s TONS available, one thing I recommend you always do is pick one which you can relate to. As you’re about to find out in this case study, even though I have the site, the traffic and the niche, I don’t really have the success I want with it because I can’t really relate to it which makes it difficult to write on it. However it doesn’t change the fact that you too can use this method to find your own niches. I was asked to promote a new kettlebell program for women using my knowledge of internet marketing. This was through a friend who runs a martial arts school I attend. I agreed and started doing research. What is the niche? A niche is basically a specific group of people or market. In this case, kettlebell training is a market (it’s very broad) and my niche was kettlebell training for women. This is more specific as there is a specific audience and a topic in the subject. This tutorial will help you find one that suites you. Figure out what sorts of terms this niche (group of people) typed into Google to find what they were looking for. We call these “keywords”. I circled in red & yellow the most important things I found. Some of the keywords get 1,000’s of searches a month! And look at the green circles. This represents the competition (indicated as QSR) is low. I never imagined this subject could be so popular, but as it just so happened, I stumbled onto a VERY popular and potentially profitable niche. Oh and by the way if you’re also aiming to do keyword research, I strongly recommend the same tool I’m using as it’s very accurate and simple to use. Learn more. After I find keywords, it’s time to build a website. I did that and it was based on helping women learn about kettlebells. It took me a little time to create and add content to it, but eventually the site began ranking and since the competition was pretty low, I was able to rank pretty high and fast thanks to the research on the keywords being done above. Not bad! That’s well over a 1,000 visits each month. 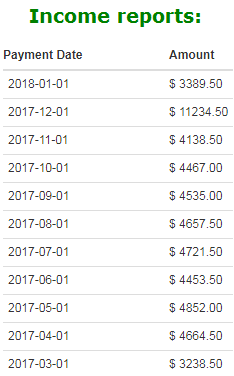 As you can see, there are some dips and there in the traffic and this was because I didn’t take too much care of the website. I also made a huge mistake in using backlink packages on the website in August (I then cancelled quickly but the damage was done) which ended up getting the website Google slapped. Additionally I wasn’t able to add the kind of content I wanted and that’s because I couldn’t really relate to this subject. I had very little knowledge on kettlebells and couldn’t exactly connect with visitors on my site. If I had added proper content to my website, my traffic stats would be much higher. 10x in my estimation and that’s just a small example. But it didn’t happen and I lost out on A LOT of potential profits. I did make money, but for the time it took me to create the website, build it up and work on it, it wasn’t worth it. I stopped doing anything there, but am slowly getting back to it keeping these lessons in mind. 1. Always go after niches. Niches have more specific audiences, more chances of profitability and LESS competition. 2. Target niches you can relate to! This is huge. I saw minor success with this website, but because of my lack of knowledge on the subject, I wasn’t able to do much with it! 3. Don’t use backlink packages, EVER. They are bad for SEO and they hurt my website. Now in order to get back on track, I’ll have to wait months if not longer to recover. 4. 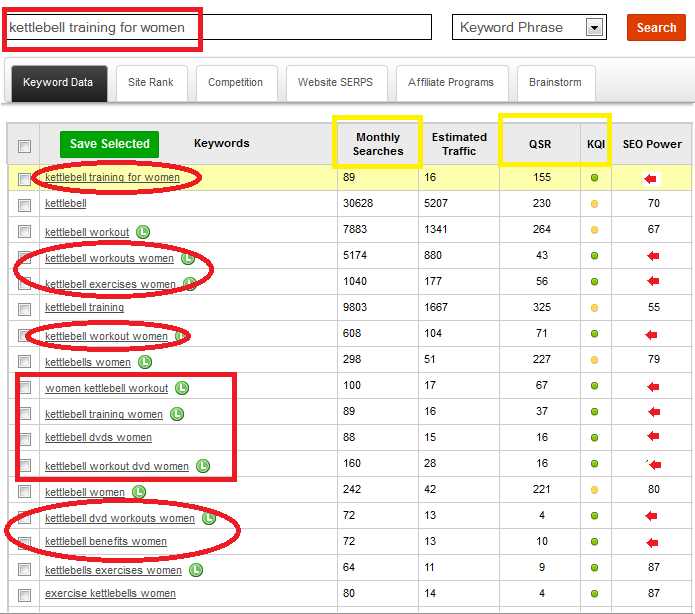 Try to use a keyword research tool like Jaaxy if you’re attempting to find niches and keywords for it. There’s not much of a point in going after keywords no one types. In the end you could do without it and use your head, but this will make the process much easier. Hi Vitaliy, thanks so much for the niche explanation. In October, I started reading on making money online especially through Wealthy Affiliate. I have watched many videos on YouTube but only decided to visit four blogs (yours makes the fourth blog). Now the question I want to ask is about the expectations I had in my mind on how the content on this niche site earns money. I am a young video journalist by profession and I’m now learning to write attractive content on many things I like so how can this make money? In many articles you say that all niches can be profitable but I’m wondering what happens if people who visit my site do not click on the affiliate links and buy stuff. How can I still earn money then? Or what if my niche site doesn’t have affiliate links or programs to join? By the way, aren’t affiliate links also backlinks? Finally is Clickbank a good way to make money online? 1) You mentioned being a video journalist. This immediately makes me think you can start a YouTube channel and report on things that you are interested as a start. 2) If you are trying to make a site for this topic (journalism), I have to say, I had to make a lot of corrections on the comment you wrote because I assume you have a different native language, which by the way you can make a site on, just do it in the language you are most comfortable with. But back to the topic of journalism. I would honestly make a YouTube channel, but not a site for this topic, because it’s very broad. You CAN however select other niche topics and I assume if you understand niches and cross reference them with topics you like, you’ll find something other than journalism that will interest you. I would join WA for free and just focus on that for starters. 3) Regarding people who visit your site but don’t buy from your affiliate offers, you have to understand that this WILL be the case. Most people who visit sites do not buy the products that are promoted on it. You can certainly do things like try to get their email through an exit pop up or focus on writing better content to get your traffic to trust you more, but you have to accept that not everyone will buy from your site which is why you should focus on getting more traffic to it, so the number of people who can buy from it, increases. There are however advertising programs like Mediavine which can actually help you make money of EVERY single person who visits your site, regardless if they buy from your affiliate offers or not. This program pays you money for each person who comes to your site, but to be eligible, you need to have at least 25k visitors a month. 4) Now about not being able to find affiliate programs to promote on your site, this is a rare situation, but if it happens, it’s OK. You can always promote yourself or other services. You will find in most cases, there will always be some sort of offer you can align with and promote on your site. If the niche topic you choose is big, you are 100% guaranteed to find an affiliate program that sells products for this niche topic too. 5) Now about affiliate links and backlinks, when you link to an affiliate offer, that is a backlink, but to the actual affiliate program, not to you. Could you clarify what you mean by backlink packages? Hi Bo, basically backlink packages are tons of links from low quality sites that link back to your website and that (or was) technically supposed to give the impression to Google that your website was excellent, but it was just an artificial means of ranking and it’s absolutely horrible to use it now. Here is more info! Hope it helps! Thanks a lot Vitaliy! Huge fan of your website and case studies! I am considering trying this program. I am not sure I really understand exactly what it is that you are doing. Of coarse my fear is trying to do this and not being able to understand even the basics. I am 55 years old and didn’t grow up in the computer age but am trying hard to learn. My question would be, exactly what would I be doing to make money? Hi Brenda, I understand your fear and it’s normal to feel this way. Check out my post on Wealthy Affiliate for the specific details on how this would make you money.